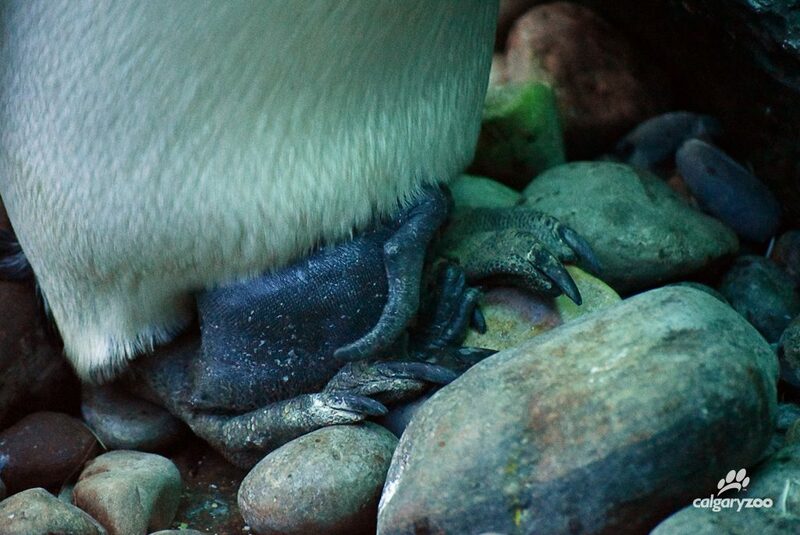 King penguin chick #2 hatches at the zoo! We’re so excited- there’s a new king penguin in the family! On June 16, 2016, king penguin Grace laid an egg. After last year’s success with hatching the zoo’s first ever king penguin chick, Nero, a new egg caused quite the stir. Our zookeepers watched and waited with anticipation as Grace guarded her egg, until her chick emerge on August 6. While Grace was spotted mating with one of the colony’s males, she remains unattached from a pairing- which is very unusual. In the wild, penguins form pairs and take turns incubating the egg, co-parenting chicks to keep the egg warm before it hatches. This not only gives the two birds time to eat and rest while the other cares for the chick, but also gives the little king penguin double the protection. King penguin Grace stands guard over her newly hatched chick on the beach at Penguin Plunge. While what Grace is doing is unusual, it’s only possible because she’s living here at the Calgary Zoo. In the wild, solo parent king penguins would struggle to raise chicks, as it would be impossible for them to hunt for food- as they would have to leave the chick behind, unprotected and without warmth, in order to swim and fish. Simply put, in the wild, Grace would not have success raising her little one. She would have to choose between keeping the egg or chick warm and safe, or finding food for herself, and would eventually have to abandon it. This is especially apparent to king penguins, as their incubation period is long; young chicks rely on their parents for many months. King penguin Grace is a single mom, which means she can’t leave the chick in order to feed. No worries- our keepers are making sure she gets the fish she needs. Not to worry. Thanks to the zookeepers here in Penguin Plunge, they are making sure that momma receives her regular fish. Hand feeding her daily, the keepers are able to get up close and get a visual check on the newly hatched chick, as well as ensuring that Grace has enough food for herself and to feed her offspring. The chick seems to be growing well so far, occasionally peeking out from underneath mom to feed and glimpse its new home. We are hopeful that this family will do well- it’s still early days! Grace keeps her little chick warm. As this is the first hatched chick for Grace, our team will be watching her closely and helping her when possible. 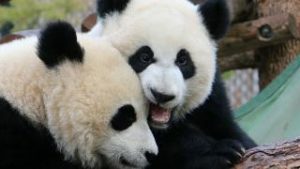 While this experience is new to her, she is demonstrating she is determined to be a good mother. 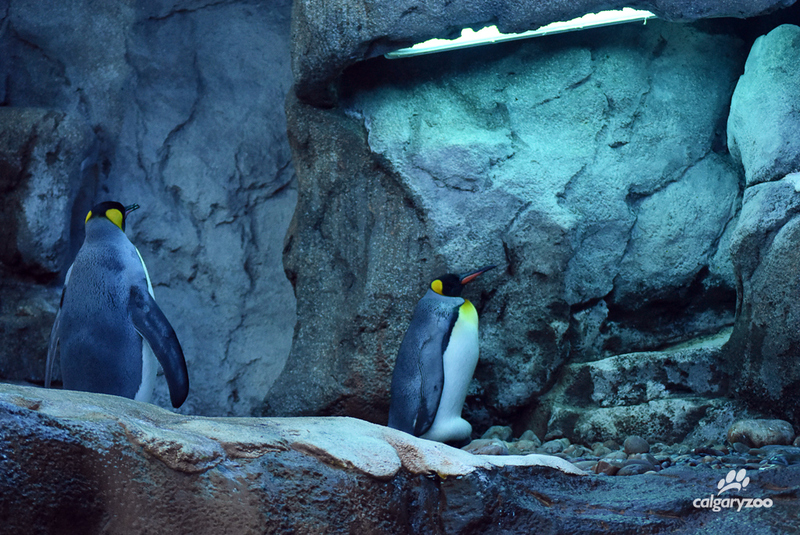 This newest member in Penguin Plunge has a very big role to play as king penguins are part of the Species Survival Plan (SSP), which helps to ensure genetic diversity in captive populations. This king chick is only the second to be born at the zoo and is helping to grow our population and be an important ambassador for his species. The king penguin chick from 2015 has all grown up! Nero has finally shed his adolescent fluff and is sporting a new grown up look. 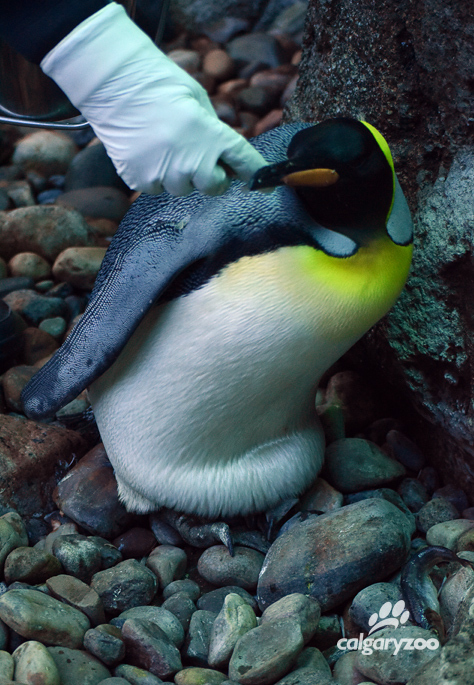 Keep an eye on our Facebook and blog for more updates on the king penguin chick! If you remember last year, these little ones grow up to be quite the showstoppers!